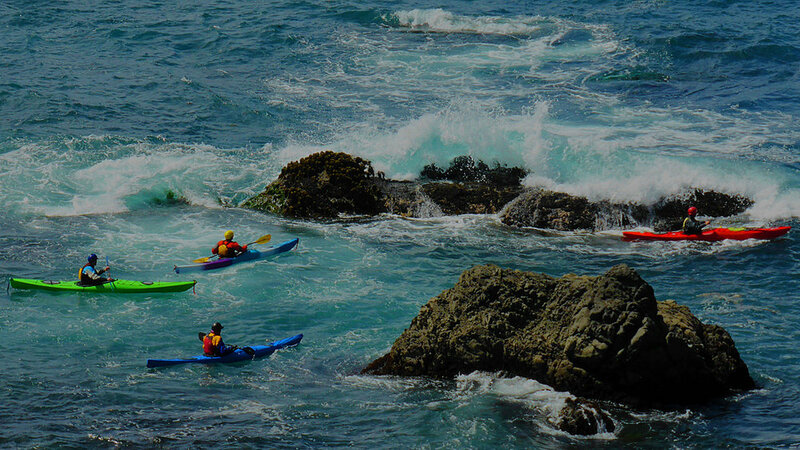 We are excited to announce that we have just added a 5 day Art of Sea Kayaking Mendocino Adventure. LFK's 5 Day Art of Sea Kayaking Mendocino will be September 24-29, 2018 and is designed for intermediate/advanced paddlers who want to paddle and play in rock gardens and surf. This adventure is actually scheduled over 6 days so that you can enjoy the best of the Mendocino Coast including an off the water day. This is a great opportunity to see "off the beaten paddle" stretches of the Mendocino Coast. We challenge you to make 2016 your year. By taking time for ourselves, we become better able to care for others. We all need that special getaway - whether it is a weekend paddle or a paddling vacation. If paddling is your "thing" then we encourage you to get out and do it. Sea kayaking and exploring Mendocino's rock gardens, arches, and sea caves. 1. 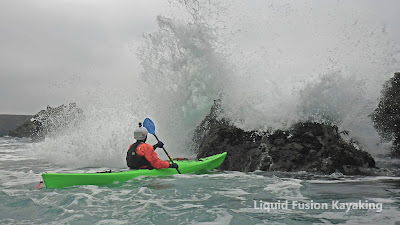 The Mendocino Coast is a spectacular place to paddle!. LFK's teaching environments on the Mendocino Coast include the community swimming pool, coastal estuaries, bays, rock gardens, and surf zones. 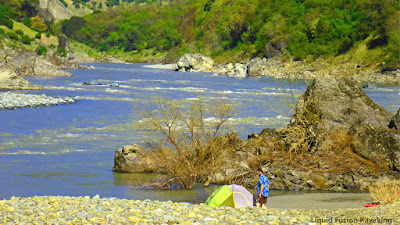 Don't forget whitewater on the coast range. The options for instruction are endless. Most of our courses are 2 or more days because we find that you learn better when you can apply your learning immediately - especially under the trained eye and guidance of a coach. 2.. Multi-day Classes - Bottom line is that students learn more when they have consistent practice. We see progress during a class; however, the skill development and confidence that we see over multiple days of instruction is exponential. It gives students a chance not just to learn a skill but to own it. We pace our multi-day classes to be fun and instructional. With 2 or more days, we don't feel like we have to cram everything into one day. Nor do you feel like you have to work super hard to learn it all. Everything clicks nicely into place over a couple of days. 3. Professional instruction and coaching. All classes are taught by Jeff Laxier and/or Cate Hawthorne. We are dedicated instructors who are always working to raise the bar in our teaching skills. Yes, we do have a life but often a dinner conversation involves - "what if ," and the ideas explode and improved teaching tools are developed. Once you have taken classes from us, we have a relationship. Call or email us with questions . . . in the last week we have tele-coached students on boat outfitting, roll pointers, whitewater safety kit. We have not only the skills and experience but the teaching skills and experience to help. Why we do it - Both of us feel a strong connection to nature and the outdoors. Our goal is to provide fun, personal, interactive, and educational adventures that garner appreciation for wildlife, nature, and kayaking. Why kayaking? In different ways, we both fell into it (stories for another time). However, we have found kayaking to be a great vehicle to explore and play in the outdoors and also a way to challenge ourselves and others. Know that feeling of accomplishment when you learned a new skill or overcome a challenge? Perhaps you succeeded on your own or perhaps you got that special help that helped you succeed We view ourselves as that special help and enjoy helping others to learn new skills, appreciate nature, and conquer challenges. 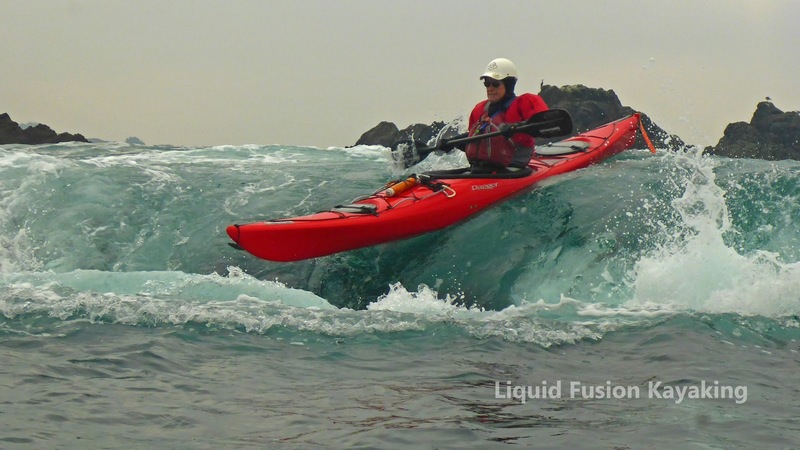 SEA Kayaking - Build a comprehensive sea kayak skill set with Liquid Fusion Kayaking's sea kayak programs. BCU 3 Star Sea Kayak Trainings are available for you to build your sea kayaking skills - strokes, team work, rescues, and navigation in moderate water. The 3 Star Assessment is a good way to gauge your skills and to guide further skill development. LFK's Art of Sea Kayaking Mendocino Series - Rock Gardening and Surf zone Instruction is LFK's specialty. We have developed a series of classes to teach specific rock garden and surf zone skills and to share our local knowledge of the Mendocino Coast. Join us for one or all of these specific instructional adventures. 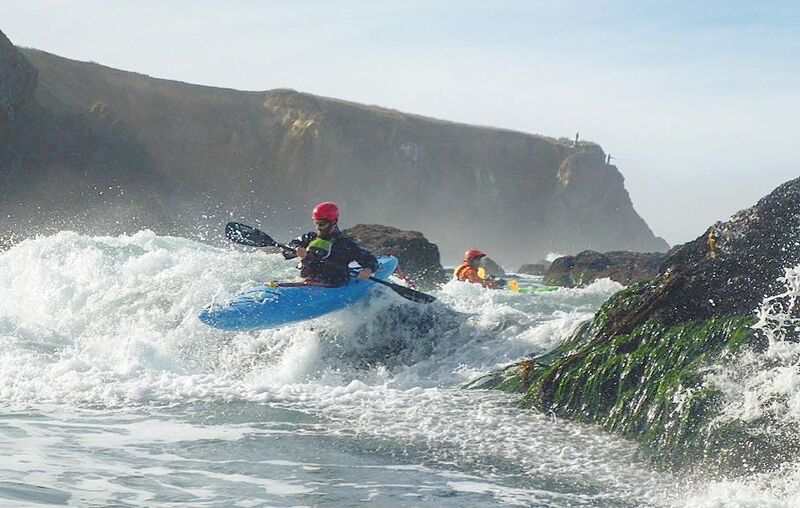 This is a great opportunity to see different stretches of the Mendocino Coast that are not typically paddled by clubs and other outfitters and learn from the local paddling experts. Saturday will be primarily instruction and Sunday will be skill application as we paddle, explore, and play on a stretch of the Mendocino Coast specific to the weekend's skill focus. May 14-15 Touring Ocean Rock Gardens - Learn to read the water, choose routes, and paddle in rock gardens as a team. June 11-12 Surf-zone FUN-damentals - Launch, land, and play in the surf with control and finesse. July 9-10 The Art of the Pour-over - Perfect your timing and precision paddling to ride rock garden features like pour-overs. August 13-14 Magical Mendocino Sea Caves - Tips, tricks, and sea cave exploration. Want the whole series at once? Sign up for our 5 day Art of Sea Kayaking Mendocino Adventure in September 2-6. Private Lessons/Custom Tours - aka Mendo Your Way - Let us know what skills you want to work on or sights you want to experience, and we will design a custom adventure for you. We do this for individuals as well as groups. The regular pattern of precipitation that Northern California has been experiencing is exciting. 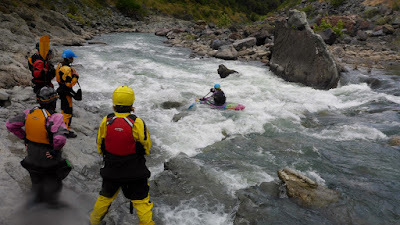 2016 is shaping up to be a great year for whitewater river kayaking. 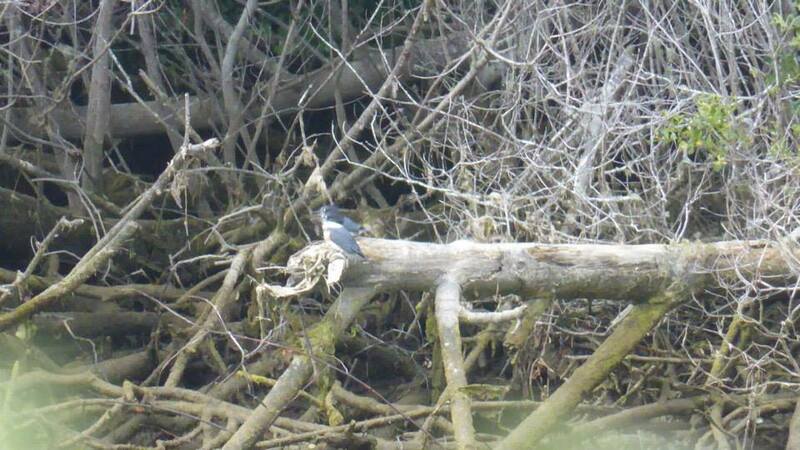 The Eel River is flowing, and we anticipate having whitewater on it well into the spring. The Eel is our backyard run, and we know it at its different flows like the back of our hand. Let us share the fun, beauty, and excitement of whitewater kayaking on the Eel River with you. Schedule a private lesson or custom run with us or join us on one of our scheduled whitewater classes or runs. Are you a sea or surf kayaker interested in learning to run whitewater rivers? If so, join us for our Whitewater Kayaking Class April 2-4. This class is for intermediate kayakers who want to learn the skills for whitewater river kayaking. Skills will include strokes specific to whitewater kayaks, hydrology, river running skills, rolling in current, and whitewater safety. Whitewater of the Sea - aka rock gardening in whitewater kayaks - private lessons are available through May. In May, we will have regular whitewater of the sea adventures available. From adventurous beginners through advanced whitewater kayakers, whitewater of the sea is a fun and challenging adventure. SURF - Planning across the green face of a wave is pure bliss!!! Learn the tricks of getting onto that wave and carving turns on the wave with an LFK Performance Surf Class. Many paddlers bumble about learning to surf by tagging along with others. Don't risk developing poor habits . . . get surfing better sooner with instruction. Mendo Your Way - Let us know what skills you want to work on or sights you want to experience, and we will design a custom adventure for you, your paddling posse, or family. From dry and mild to wet and wild in sea, river, and surf . . . the potential for fun is very high. Contact us and let's do it! Remember our special fall/winter private lesson rates are available through March. Get out your calendar out and start planning to kayak Mendocino in 2016!!! What are your paddling plans for March? We have been hunkered down working on our website and other business aspects of Liquid Fusion Kayaking. Now, it is time to turn our attention to teaching. This Weekend we are excited to be coaching at the Storm Gathering USA in Trinidad, CA. We will be teaching a variety of courses including sea kayak surfing, incident management, whitewater of the sea, rock gardening, and surf kayaking. We are particularly excited to get to see Justine Curgenven's presentation on Kayaking the Aleutian Islands. The Second Weekend of March is the Annual Santa Cruz Paddlefest. Formerly called the Santa Cruz Surf Kayak Festival, this is a fun event for both spectators and participants. See some of the best high performance surf kayakers shred on a world class surf break - Steamer's Lane. 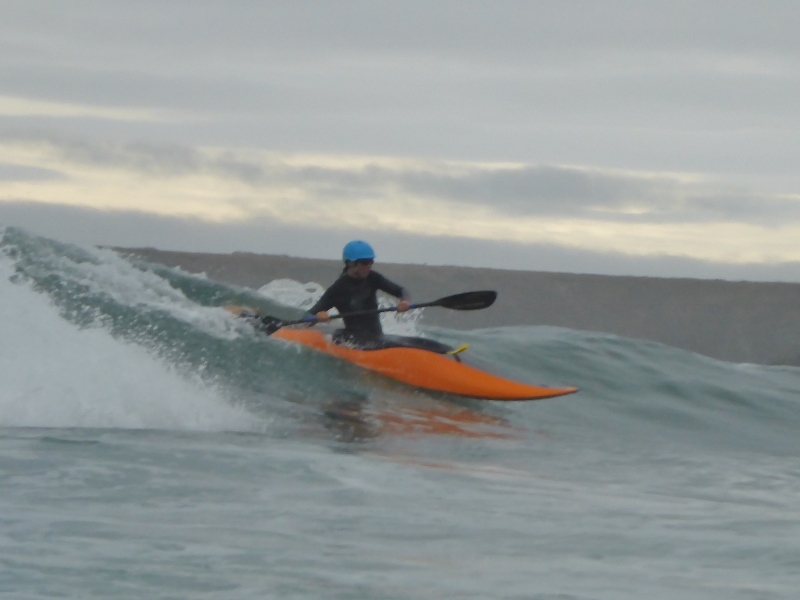 The Cowell's Classic is a fun event for novice and intermediate surf kayakers to participate and surf the typically crowded Santa Cruz break with only 3 others. 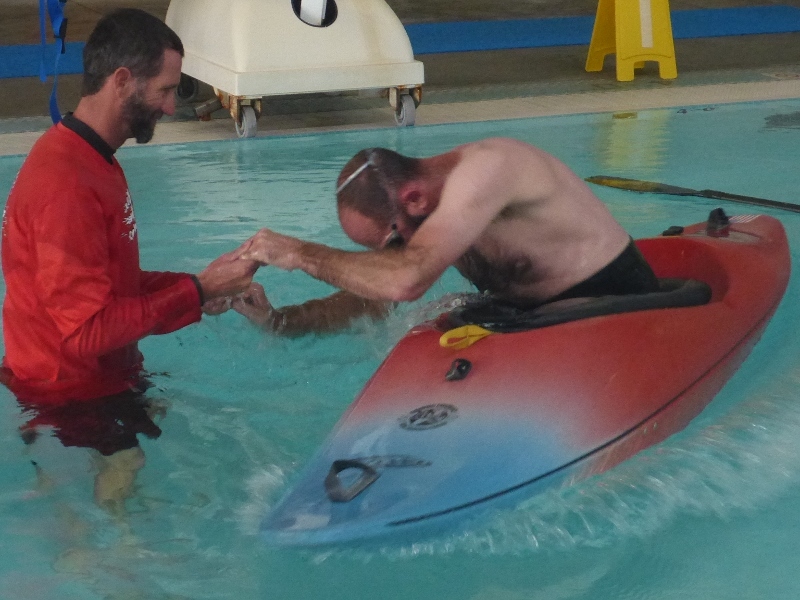 The Third Weekend in March (March 21-22), Jeff will be coaching a 3 Star Sea Kayak Training in the Monterey Bay Area. He did one of these in January and is back by popular demand. We have a couple of spaces available if you are interested. Here's a link to the syllabus. On Monday March 22, Jeff will be conducting a 3 Star Sea Assessment. The BCU 3 Star Sea Award is an internationally recognized achievement of sea kayaking skills. And finally the last weekend of March, both Cate and Jeff will be teaching Whitewater Kayaking Class 3. 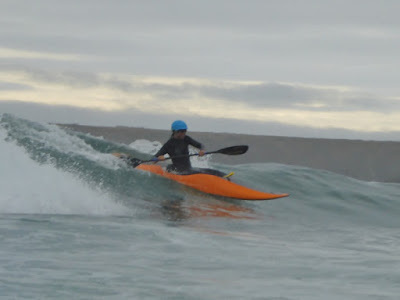 This class is for paddlers who have class 3 kayaking skills and experience but want to perfect and better their skills to run cleaner lines, surf more waves, carve in and out of eddies, and possibly boat on harder waters. We will be teaching this on a Northern California Whitewater River - location to be determined based on water levels - course guaranteed to be fun and skill building. Whew - definitely looking like a busy month for us - sharing what we love with others in the sea, river, and surf. Hope to see you on the water!